Firefighters conduct a controlled burn to defend houses against flames from the Ranch Fire, part of the Mendocino Complex Fire, as it continues to spreads toward the town of Upper Lake, California, on August 2, 2018. Ana B. Ibarra, a reporter for California Healthline, is based in Sacramento. Before joining the Kaiser Health News team in February 2016, she spent two years covering health in California’s Central Valley for the Merced Sun-Star. She is a 2015 Center for Health Journalism fellow and a Cal Poly Pomona graduate. 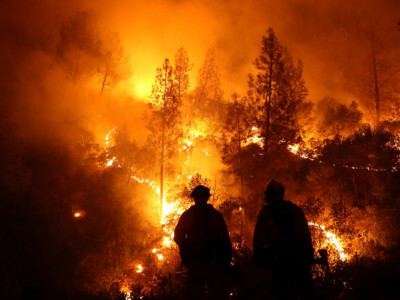 Unless regulatory action is taken, Verizon will continue to exploit emergency situations like wildfires.